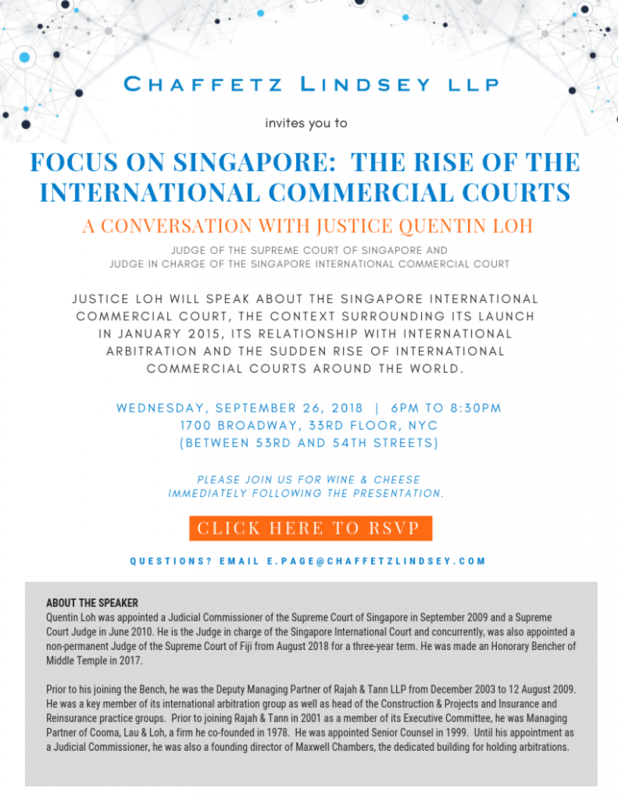 September 2018 — Chaffetz Lindsey is pleased to host Justice Quentin Loh at our office on September 26th, 2018, for a conversation about the Singapore International Commercial Court, the context surrounding its January 2015 launch, and its relationship with International Arbitration and the sudden rise of international commercial courts around the world. We invite you to join us for this presentation at 6pm and stay for wine and cheese and networking until 8:30pm. More information about this event follows below, and to register, you can click here. Please contact Ellen Page with any questions.